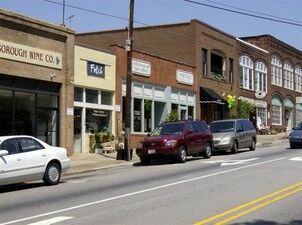 Located 10-15 minutes north of Chapel Hill, Hillsborough is a growing town in the bustling Triangle Area. This charming town has a storied past, which is more beautifully represented by the facades of the main commercial corridors. Hillsborough real estate includes country cottages, simple single-family houses, and beautifully preserved heritage homes. With easy access to I- 40, Chapel Hill, Durham, RTP, and Raleigh Durham International Airport (RDU), Hillsborough's popularity is understandable. These Hillsborough homes for sale are an ideal choice for families, working adults, and retirees alike. This area has an ample supply of charming character homes that are alive with history. Beautiful red brick facades beautifully contrast the lush green landscapes that are so commonly found in North Carolina community. Hillsborough has a number of homes for sale, with designs and styles ranging from traditional craftsman to Neo-Colonial and Tuscan. The stable and steady local economy is represented by the number of new homes and neighborhoods in the area. Hillsborough is not a large city, but it's geographically quite broad. In Churton Grove, you'll find single-family homes in this desirable neighborhood that averaged around the low $400,000 range in 2014. This neighborhood offers an extensive array of amenities such as a club house, pool and more. Fox Hill Farms also has plenty of single family homes on larger lots with trails for horses. In 2014, the average sales price in the development averaged around $500,000. Fox Hill Farms is less than 10 minutes from downtown Hillsborough. In Becketts Ridge, the single family homes in 2014 averaged $275,000 There’s also the downtown Historic District and as well as many other neighborhoods nearby and like the rest of the Triangle area Hillsborough continues to grow and it’s economy is healthy. There are numerous smaller artisanal farms producing organic fruits, vegetables, dairy and cheeses. Hillsborough also produces truffles, an extremely rare food item sought by gourmets worldwide. You will want to be certain to add Hillsborough North Carolina to your list of places to check out if you’re looking to keep horses, have a small farm, or a very neat smaller town that offers a variety of great little restaurants, shops and cafes. Hillsborough offers all of this and more while still being less than 20 minutes away from major medical centers and the offerings of world class universities UNC and Duke. For more information on the best neighborhoods in Hillsborough, please contact the My NCHomes team online or by phone at (919) 967-6363. Larry Tollen, and My NCHomes wrote the book when it comes to helping buyers get the best deal on their new home!